PHP is a popular dynamic server side programming language. It’s commonly used as part of LAMP stack together with Apache web server. WordPress and many other Content Management Systems require it to run. If intending to install & configure apache web server on Arch Linux also install Apache module. Find and comment out LoadModule mpm_event_module modules/mod_mpm_event.so line. This is needed because of a bug in Arch Linux. After the commented line add line. Add the following to the configuration file and save. The first line enables an alternative module that works with the non-tread safe installation present on Arch Linux. Subsequent lines enables the Apache module. The module number may need to be modified depending on the installed version. Create a new php file in the root of the server. If not using the default web root directory, change /srv/http to whatever the root directory is configured as. Add the php_info function and save the file. If PHP version and other information is loaded then PHP is working otherwise it will just print the text in the file. Open the PHP configuration file. Enable MySQL extension by uncommenting at least one of the lines below. 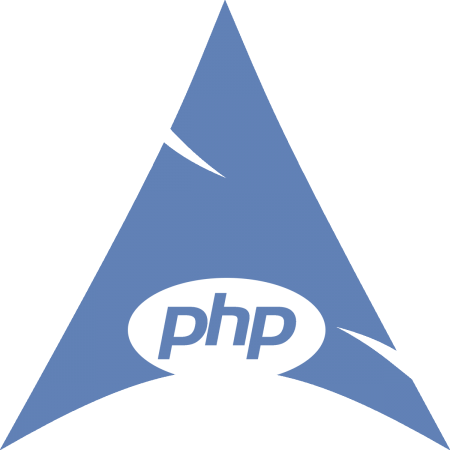 In php.ini configuration file the comment is ; instead of the more common #. Most commonly used MySQL extension is mysqli.so while mysql.so is depreciated and should be left commented out.